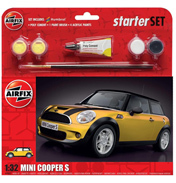 Not everybody realises that Airfix do other model kits types such as Cars, Motorbikes and Trains. 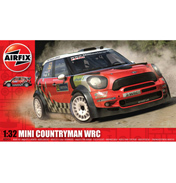 These have been available since Airfix’s heyday in the 1960’s when the range also included modern and vintage cars as well as motorcycles. Here you will find their basic kits for these categories, as the gift set and starter versions are included elsewhere on the website. This means paints, brushes and glues need to be purchased separately for these items. 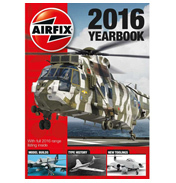 Generally Airfix do prefer to cover these subjects as starter sets which is why the collection appears quite limited at first glance. Military Cars are also included under a different category along with Military Vehicles. 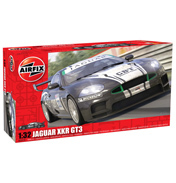 Airfix Cars include the Jaguar XKR GT3 APEX Racing model which at skill level 1 makes it great for beginners as at scale 1:32 it only has 39 parts. The GT3 Championship Series is an exciting one to follow as the lack of technical rules makes it much more interesting and this model kit would suit both followers of this race and also Jaguar lovers in general. 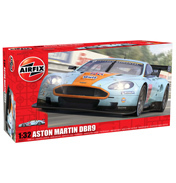 The Aston Martin DBR9 is one which races worldwide and is sponsored by Gulf Oil, hence its Airfix name DBR9 Gulf. This car races in the GT1 racing category, and Aston Martin is unusually the only car manufacturer to offer cars in each of the GT racing groups. This car’s name comes from the historic DBR1 car which won Le Mans and the World Sportscar Title in 1959. This model is scaled at 1:32 and is skill level 2. A true classic is also available in the 1930 Bentley, built by Bentley Motors and it is one of the earliest powerful racing cars which the founder achieved through tweaking the engine displacement. Scaled 1:12 this one is an enthusiast’s kit as it contains 278 parts and is one of Airfix’s most expensive kits they have available. Far more up to date is BMW’s MINI Cooper S, which has proved to be a very popular car just like its predecessor was the original BMC Mini. The car is modelled in its everyday body kit rather than the one used for MINI Challenge racing and makes an excellent kit for MINI lovers everywhere. Regarding Motorbikes, at the moment Airfix do not have any in production but watch this space for updates. In 1962 Airfix produced their first 1:16 scale motorbike which was called the Ariel Arrow, an old classic British Bike, the manufacturer of which went out of business in 1965 due to cheap Japanese imports – there’s another great Airfix historic fact for you! Moving on a category, Airfix have a small selection of Train models too, but not full Railways or Railway Kits. These were available back in the 60’s when Airfix made models in OO and HO scales after it bought some moulds from a company called Rosebud Kitmaster and some stock from their railway range as well. This was enhanced during the mid 1970’s when they sold none-kit form model trains in scale OO gauge as well as some of the items used in scenery and this part of Airfix’s range became known as Great Model Railways and this was eventually sold out to a competitor in 1981, thus ending at the same time the involvement by Airfix in Railways. Today just one model train exists in the Airfix range. The 1804 Steam Loco is featured which was the earliest full scale steam locomotive in existence, a successful one anyhow. It was first seen pulling a train in February 1804 in South Wales, and remains nameless. It is available by Airfix in scale 1:32 and is aimed at skill level 2. 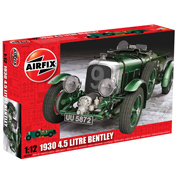 So if Cars, Motorbikes and Trains are your thing and you love Airfix modelling too, then choose one of these great sets.